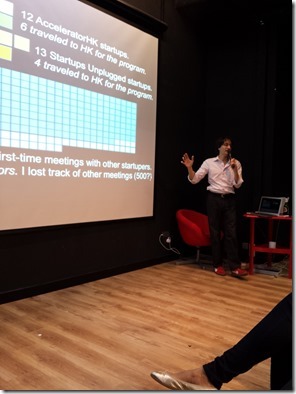 AcceleratorHK Cohort 2 Week 11: Prototype Day 2! Want fresh home cooked food delivered? Want to track your favorite TV shows and collaborate with other fans? We also had Hristo Neychev come in and spend a few days mentoring with the teams. Hristo works at Telerik as the PM for Icenium and has a lot of mentoring experience with startups at Launchub, an accelerator in Bulgaria. 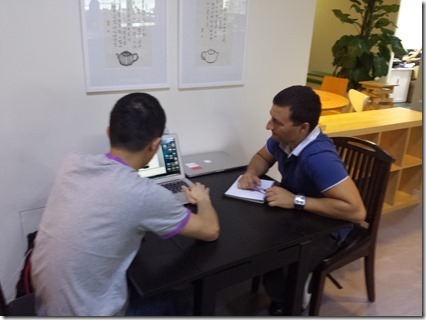 He spend an hour or two with each team as well as extra time doing customer development of his own with the teams and other companies in Hong Kong using Icenium. Hristo also mentors teams on startup presentations, so he worked with each team on their presentations for 30 on Friday before Prototype Day. The teams made pretty solid presentations and got a lot of feedback. Demo Day is only 2 weeks away and the teams should all be ready! 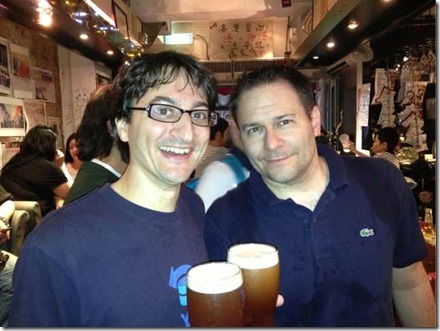 Unfortunately Friday was Paul’s last day at AcceleratorHK. 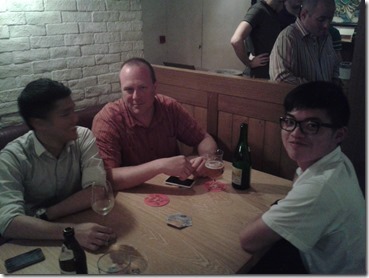 After Prototype Day we went out for a few drinks to wish Paul well in his new life in LA. 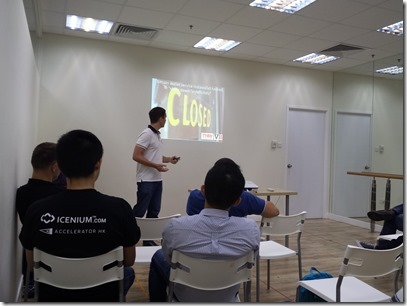 We had another action-packed week at AcceleratorHK this week. 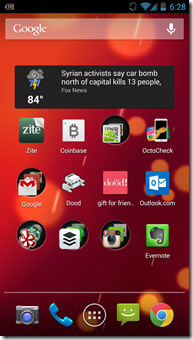 Early in the week one team released their PhoneGap based cross-platform MVP and they win the award for being the first team to have an app on my phone. Another team had their MVP launched this week as well, we are starting to really move along now. The Portuguese teams re-emerged from their near two week long code-fest to come by the Good Lab and, well, code. 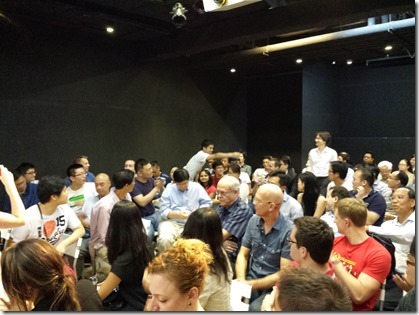 Paul did a going away farewell address to the entire Hong Kong Startup community. It was a complete sellout (standing room only!) and a great time. 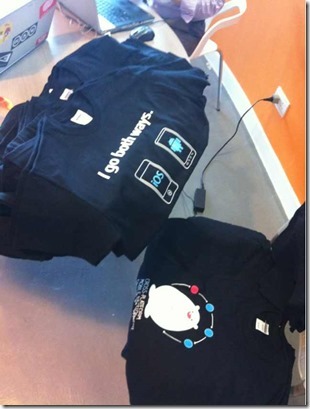 Members of cohort #1 and several mentors showed up and also got their tee-shirts. 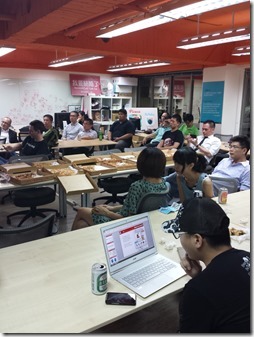 Paul also got several Hong Kong startups to commit to launch date, revenue, and other key deliverables in front of the entire community. Nothing like peer pressure! This week we have a week long mentor visit, two more MVPs to play with, and Prototype Day #2! Stay tuned…. 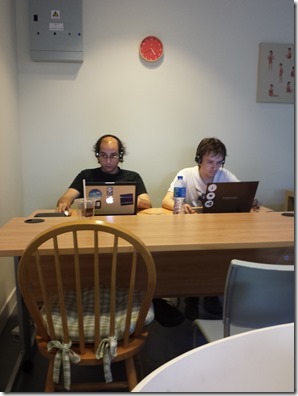 AcceleratorHK is moving right along. We are just over 4 week away from Demo Day! The teams are hard at work with their MVP, prototypes, and betas. This week we had William Liang: co-founder at Grabbit and Professor of Entrepreneurship at Poly U, come in and spend 30 minutes with each team mentoring. 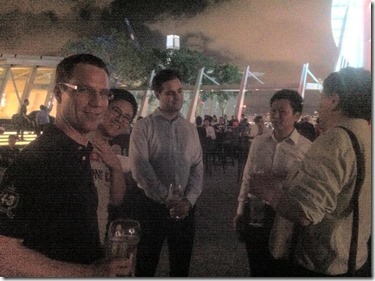 William always has great insights and this visit was no different than his visits to the past cohort and bootcamps. It was also a great week insofar as our long awaited tee-shirts have arrived! 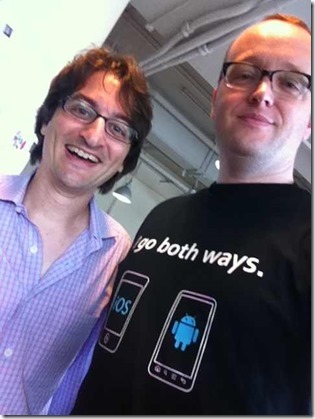 We had some AcceleratorHK branded “I go both ways” tee shirts as well as the Icenium logo shirt. I ordered 100 of each shirt, so of course we have extra for our mentors, as well as for our past graduates, as shown here. We are sure to have some left over at Demo Day if you come early. 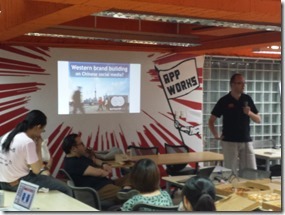 This week is a busy week with mentor visits and session by Paul about the Hong Kong startup ecosystem. We will also announce the logistical details for Demo Day later this week. Stay tuned! 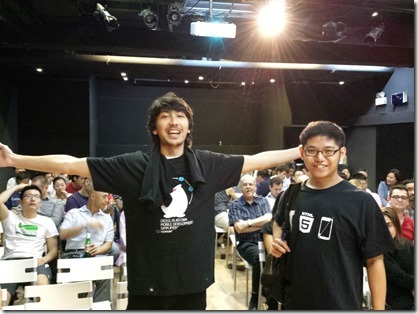 Last Friday a team representing the startup community of Hong Kong went to the appWorks Demo Day in Taipei, Taiwan. appWorks is a venture firm that also has an incubator program of six months where 24 teams start out and get free co-work space and mentors. 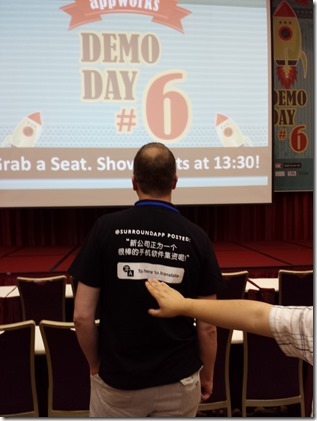 At the end of the six month period, there is a demo day. 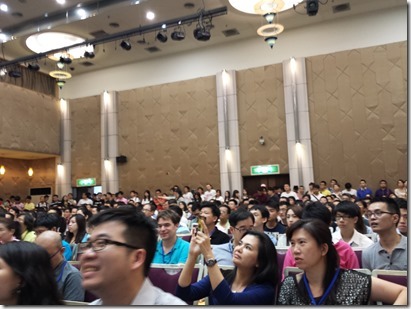 For this batch (Batch #6), twenty teams each did a five minute pitch in front of almost 700 people. The teams had a range from offline retail of organic dog food, urban street tee-shirts, women's health, politics, bio hacking, customized baseball gloves, and much more. 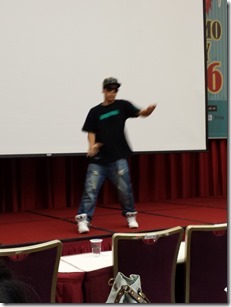 The first team to go (urban street tee-shirts) started with a break dance. What a way to start a Demo Day! As opposed to traditional accelerator demo days, which tend to have more early stage companies, this demo day had quite a few teams with a lot of traction. 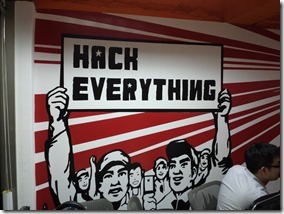 In addition, the investment climate in Taiwan is only strong for hardware, so the teams tend to go for things that have revenue as soon as possible. You can see the investment climate’s effect on the startup ecosystem, very few taxi and other “instagram” mass consumer style apps, but rather more practical, more local, and less “big swing” companies. It was a great event to watch. 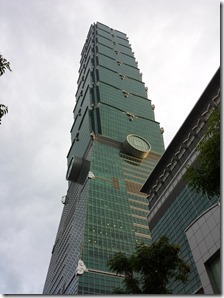 After the Demo Day, the HK team went to Taipei 101, the second tallest (for now!) 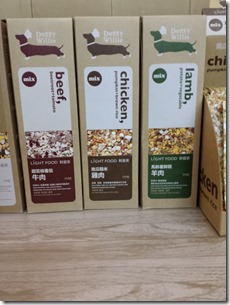 building in the world and got some dinner. 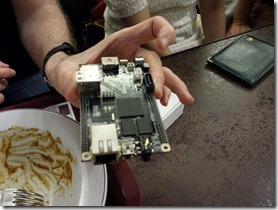 We met up with the Cubieboard guys (similar to raspberry pi) and I became the first paying customer of their second generation board. 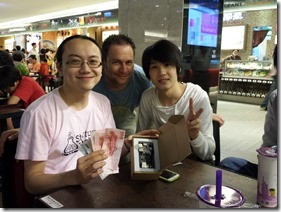 I realized they were not kidding when they took photos of my money and sent it to their investor. This is a great device, duel core computer the size of an old PCIMCA card complete with an SD card, USB ports, Ethernet jack, infrared sensor, all for <$60 USD. 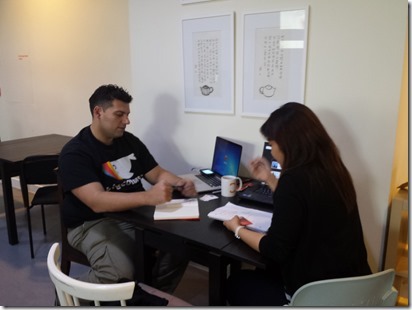 Then we headed over to appWorks offices where the HK teams pitched the Taiwan teams and some other Taiwan teams that did not participate in Demo Day did the same. 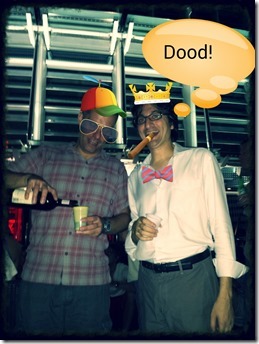 It was all done over beer and pizza, the fuel of startups. The co-working space is open only to the incubator startups and there is an additional floor where the graduates can rent out at below market rates. It was a great trip and we hope that by mixing the Taiwan and Hong Kong startup ecosystems we’ll open new markets for each other. Last week was our mid-program week of no program activities, just “get the hack out of the building” and do customer development. 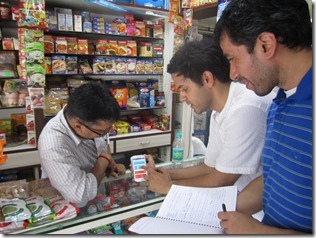 One team took that literally and traveled to India to test their app with their target customer base. 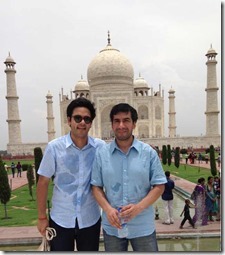 They also had time to take in the Taj this weekend. Another team is working on some pretty bleeding edge stuff so they decided to take over the inactive local meetup dedicated to the topic and hold an event. There was a great turnout with lively debate and lots of customer development. 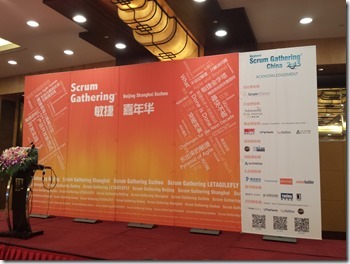 Unfortunately I missed the BBQ as I was speaking at the Scrum Gathering Shanghai on Friday. Back to the normal program this week!